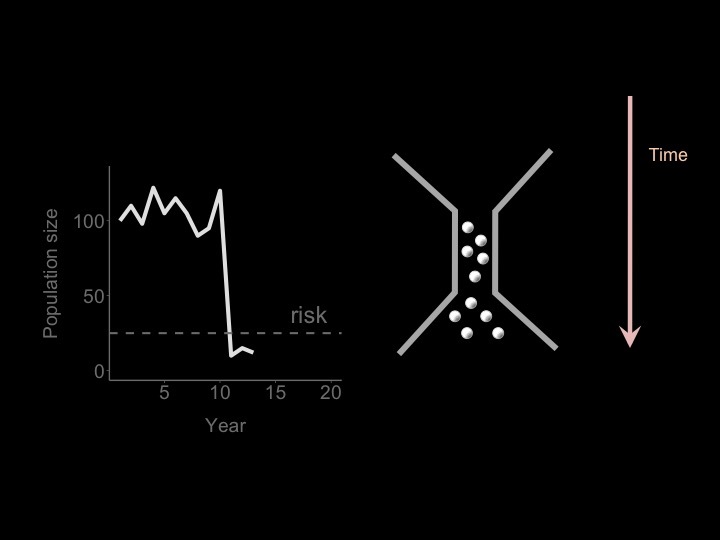 I am currently working on testing hypotheses on the effects of flood events causing massive mortalities on reproduction, survival, and growth of marble trout; more in general, I am testing the effects of massive mortality events on the adoption/evolution of life histories. Here is a schematic representation of the model system and the processes I am investigating that I have been using in some of my recent talks, more a narrative than a paper Introduction. 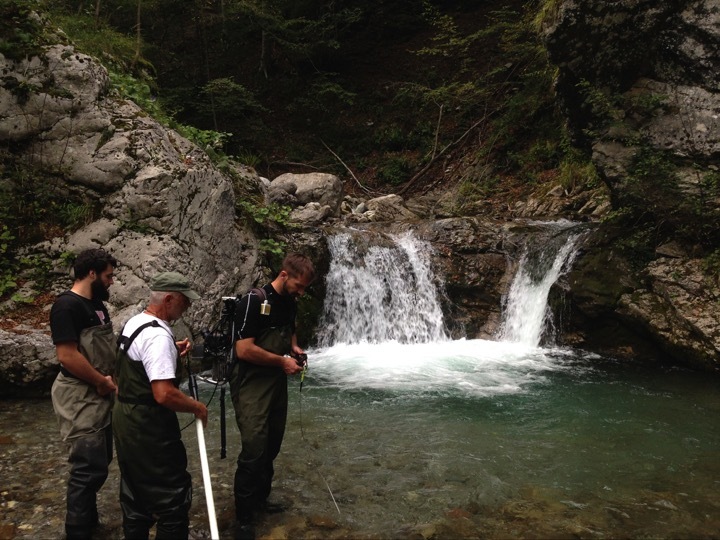 Tagging and sampling of marble trout populations started in 1996 and 1998 for Zakojska and Gacnik (with the introduction of the parental cohorts in the streams, see previous post), respectively, in 2002 in Huda, in 2004 in Lower Idrjica and Upper Idrijca, and in 2006 in Studenc, Lipovesck, Trebuscica, and in 2008 in Svenica. 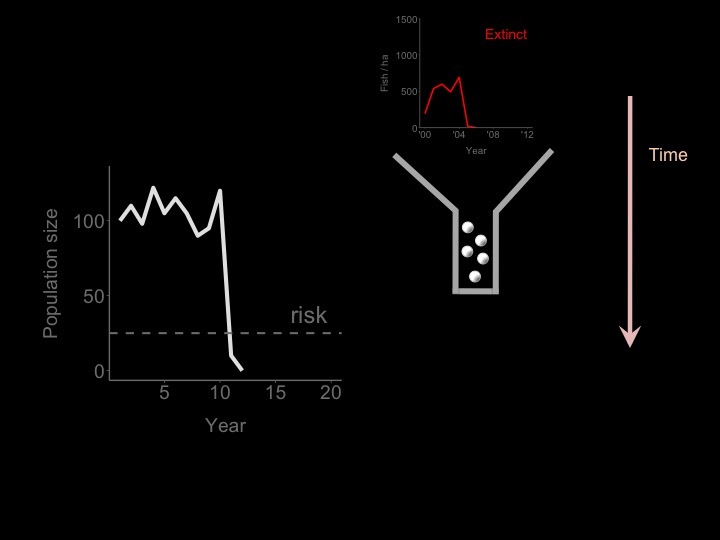 Apart from Zakojska and Gacnik, in all the other populations the estimation of density started years before the start of the tagging study. We estimated density of fish older than 0+ (i.e. fish that survived the first winter) using a two-pass removal at each sampling occasion. but between 2007 and 2008 there was an episode of massive mortality. but also in this case we observed an episode of massive mortality between 2007 and 2008. It turns out that the streams in which marble trout live are quite mellow and peaceful most of the time, but sometime they are affected by flash floods and debris flows. Flash floods and debris flow occur in the area in which marble trout live causing substantial damages to infrastructures, and death or downstream displacement of trout. 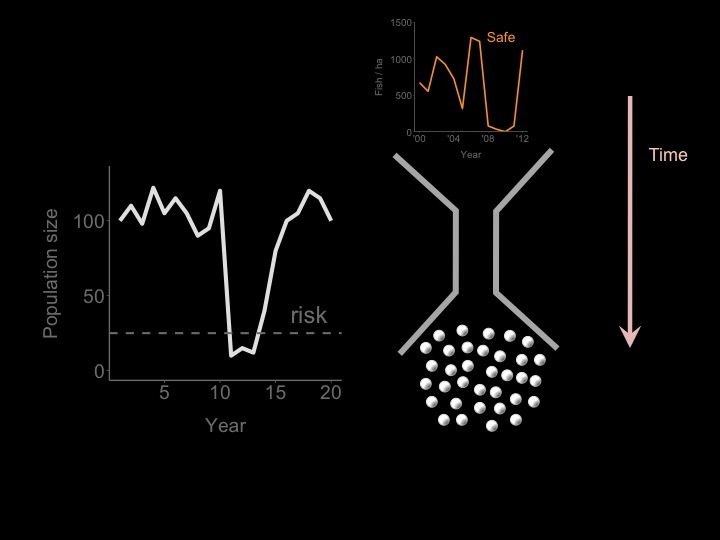 Flash floods are characterized by very short time scales (less than a few hours), stream discharge quickly goes up and quickly goes down, and mean daily water discharge may be a very poor indicator of the occurrence of a flash flood. 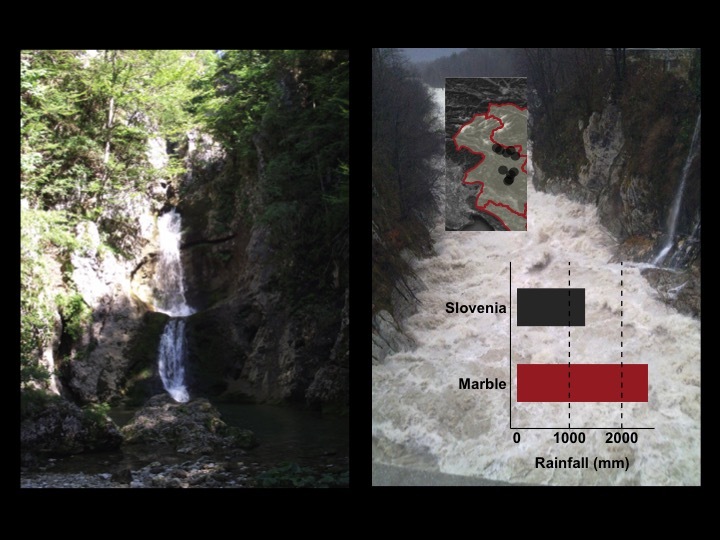 The area in which marble trout live receives more than two times the average annual Slovenian rainfall and it is one of the wettest regions of Europe. Flash flood in Western Slovenia tend to occur from September to November, but in the last few years they also occurred in the Spring. 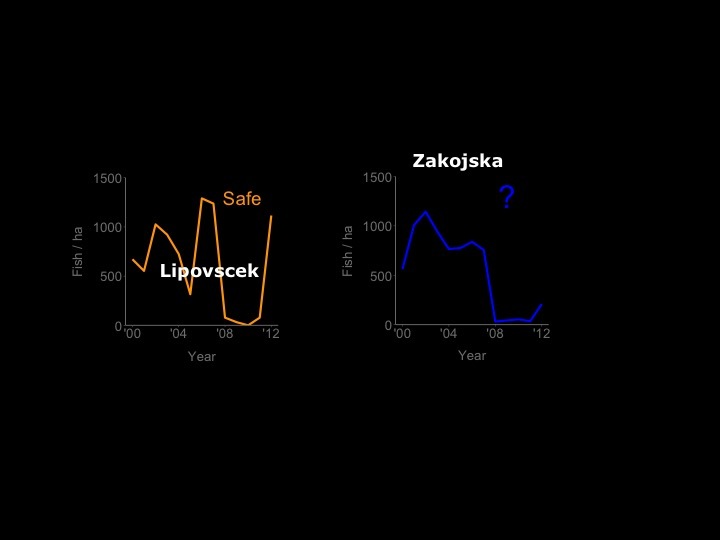 At this point you might want to know what happened to the populations of Lipovesck and Zakojska. The population of Lipovesck was affected by another flood event in 2009, but it recovered thanks to a massive production of young in 2011. The population of Zakojska is on the way back, but the surviving fish were located only in two section of the stream, while before the flood the entire stream was inhabited by marble trout; thus, the recovery is expected to be slower than in Lipovesck. Topography also plays a role. In Lipovesck, we were monitoring and sampling only the lower part of the stream, but above a 1.5 to 2 m-tall waterfall there were fish alive after the flood that contributed to population recovery (e.g., most of the young born in 2011 were probably produced upstream). 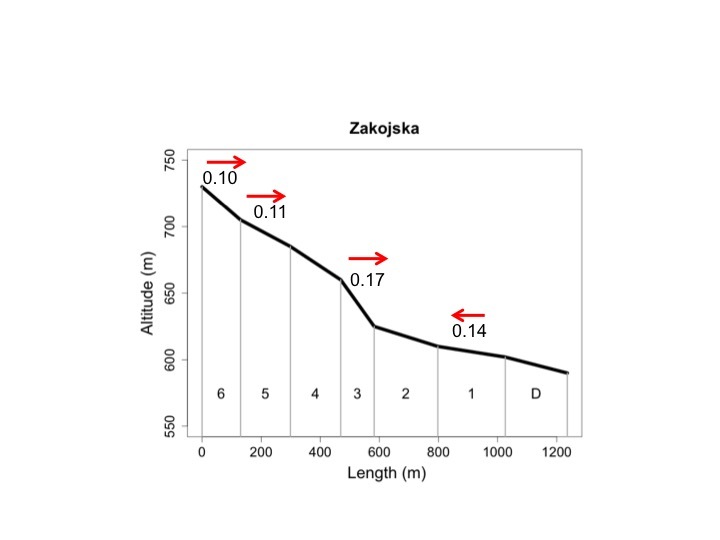 In Zakojska, some sectors are isolated (fish can move down, but not up). Fish can move up only from sector 4 to 5, and from 1 to 2. After the flood (in 2008, 2009) fish were alive and present only in sector 5 (thus sector 6 is lost since there are no chances of spontaneous colonization - no fish above sector 6) and in sector D (downstream). Numbers above sectors in the figure below are point estimates of annual probability of moving from one sector to another (data pre-2008, estimated using MARK). What happens when a flash flood or debris flow occur? This is an illustration of a population bottleneck. Each marble is an individual or a group of individuals in a population. At some point, an environmental extreme event such as an earthquake, flood, fire, drought, cause a sharp reduction in population size, i.e. a population bottleneck. Just a few individuals are able to pass through the bottleneck. 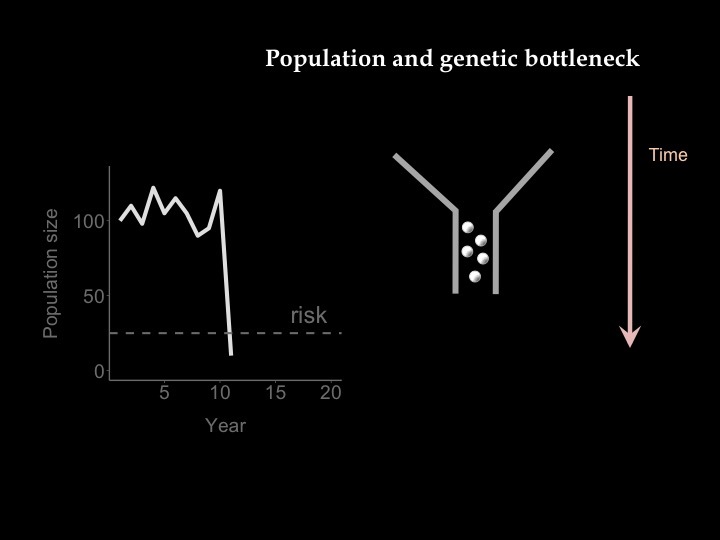 This event has demographic consequences by reducing the number of individual alive and genetic consequences by very likely reducing the genetic diversity of the population, since just a fraction of the original genetic diversity is expected to be present after the population collapse. 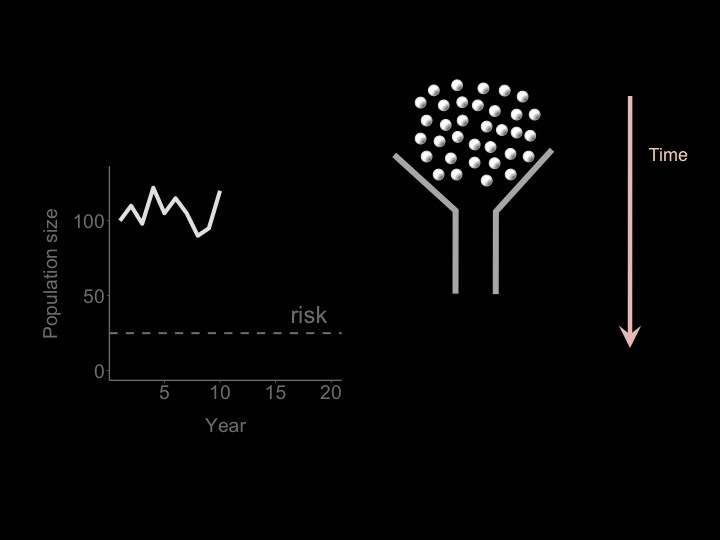 If there are no individuals left, or the few that survived are not able to produce a strong-enough cohort of young, that population is likely to go extinct. In other cases, the individuals passing through are the among the most fit individuals in the population or have particular traits that help them reproduce successfully or are just able to reproduce and produce a strong-enough cohort of young by chance. In that case, the population bounces back to safe abundances, as in the case of Lipovesck. I will soon post updates on the study.